Check out the following meeting summary notes from the June 11, 2013 Central West Steering Committee meeting! The next Steering Committee meeting will be tomorrow, Tuesday, July 9th from 6:00-9:00pm, in Meeting Room B at the Chapel Hill Public Library, 100 Library Drive. The meeting summary notes from this meeting will also be posted on this blog. 1. Community Participation. Several individuals from the community shared comments/opinions with the Committee. 2. 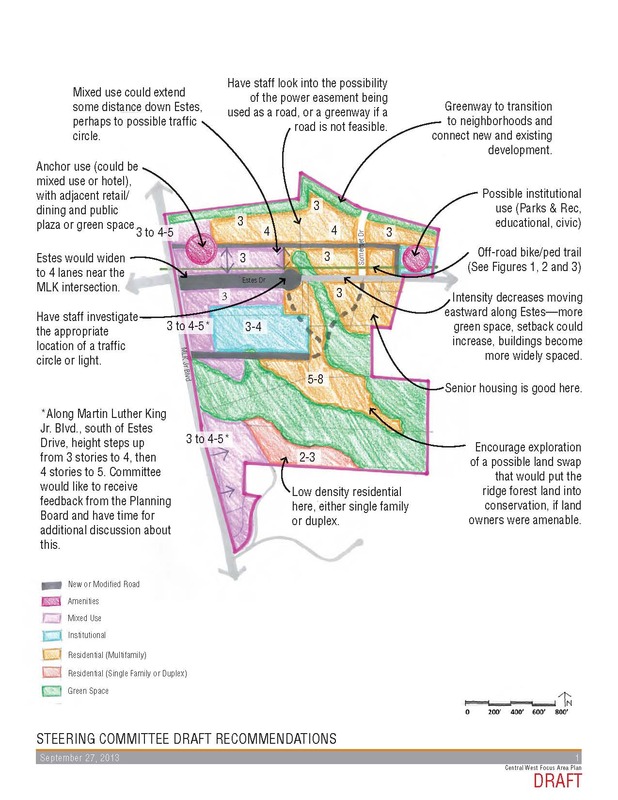 Discussion of how the Committee will continue to receive community input: Following up on the June 4th meeting, a discussion was held regarding how input could be best and most appropriately received by the Committee. All members took the opportunity to share their views on the issue as well as express opinions on other aspects of the work of the Committee, both to date and going forward. It was agreed that input from the community is of critical importance and is valued by the Committee. It was generally agreed that major items, such as the Citizens Concept Map that was presented at the June 4th meeting, should be presented to the Committee for their review before meetings and that the Committee may want to adopt a formal policy for accepting such submissions and integrating them into the work flow. 3. 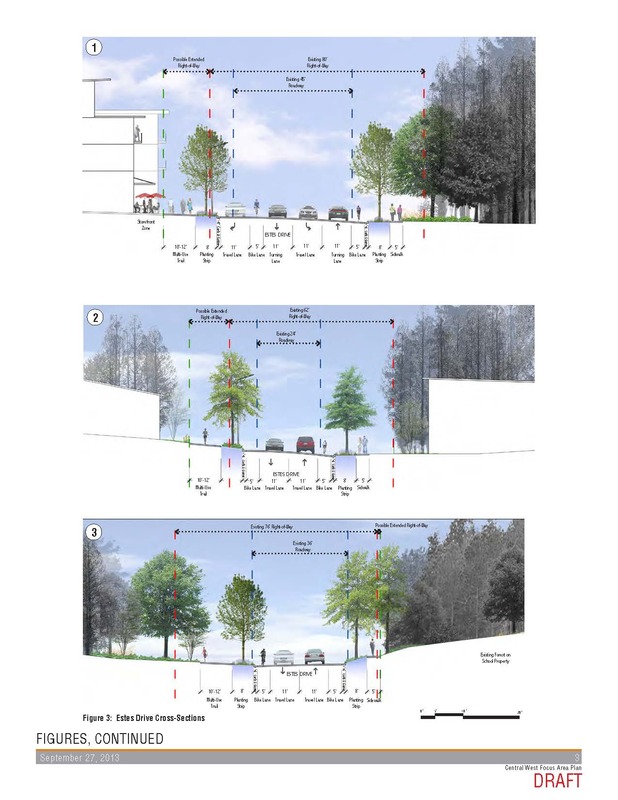 Presentation of new concept plans: Deana Rhodeside presented two new schematic concept plans for the committee to consider with an eye to presenting them at the June 24th Council meeting. The new plans reflected input received at the June 4th Committee meeting and were built on two thematic options for the CWFA: “A Walkable Residential Community” and “A Town-Gown Village.” The goal of preparing these two new concepts was, in part, to move away from a discussion of density in the abstract and attempt to have the Committee discuss uses as well. The two concepts are posted on the CWFA web site. 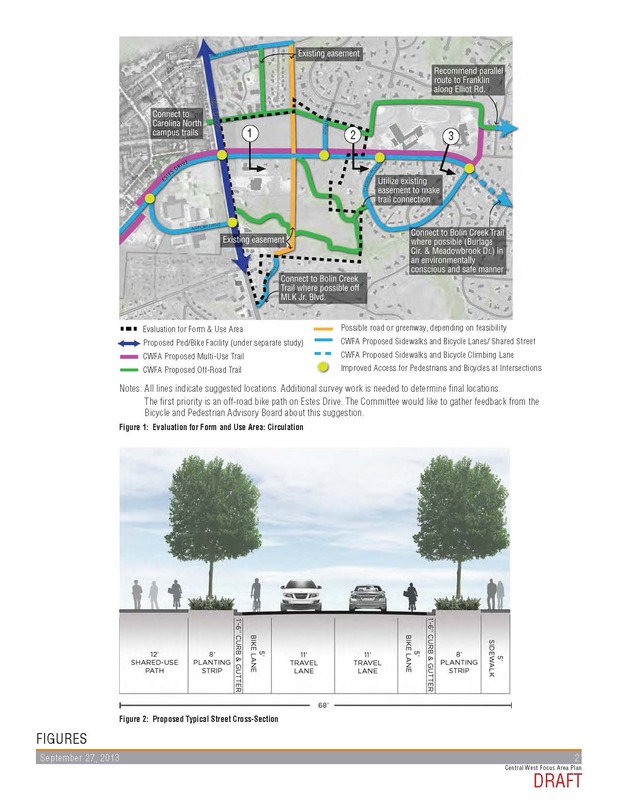 After a discussion, the Committee concluded that it did not believe that these plans should be the only two presented to the Council, although, as covered below, it was agreed that they could be a part of the presentation. 4. June 24th Council presentation: Following on the presentation of the two concepts, the Committee discussed what should be presented to the Council. It was emphasized that this presentation is a “check-in” and not intended to suggest to the Council that any concepts presented are the “final” concept or plan. It was also agreed that the Committee will not meet to review the presentation prior to the 24th, although all materials will be circulated to the Committee electronically. Staff will schedule a time on the 24th when the presentation can be previewed by Committee members. 5. Community comment: Recognizing the lateness of the hour, community comment was accepted prior to the conclusion of the meeting so that all who had anticipated a 9 PM adjournment would have an opportunity to share their thoughts. 6. Proposed Principal 13 and Milestone 3 work plan: Due to the time spent on other agenda items and lateness of the hour, the Committee agreed to defer consideration of these items until its next meeting, which will be held on July 1st.